New York: Viking 1978, first U.S. printing, hardbound in dust jacket. 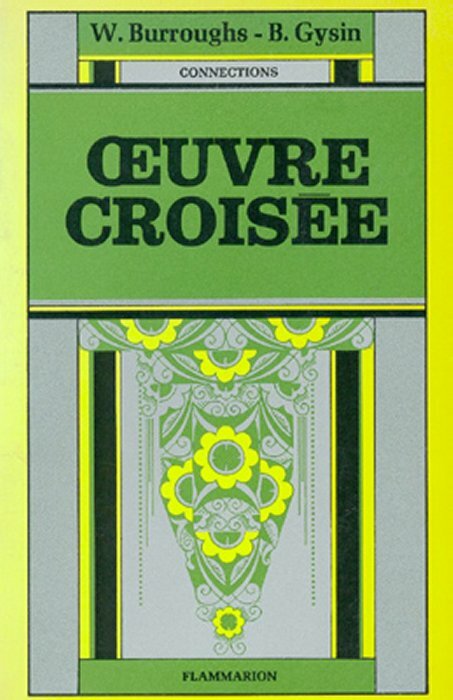 First published as Oeuvre Croisée in French (Paris: Flammarion 1976). A collaboration between Burroughs and Brion Gysin. Burroughs, known to have worked more productively in collaboration with others, wrote that the title stemmed from Think and Grow Rich, a twentieth-century guide to salesmanship by Napoleon Hill, who counseled that when two minds work together there is always a third one that results. Others have interpreted the third mind as coming from the interaction of writing and visual art. _____ uncorrected proof copy, bound in wraps. London: John Calder 1979, first British printing, hardbound in dust jacket. _____ simultaneous British printing in wraps. New York: Seaver Books 1982, bound in wraps. Unusually scarce in softcover. Curiously, this title has never been reprinted in English post-1982 though the French edition was reprinted as recently as 1998.